When I picked this book up, read the front and back covers, I thought wow! It sounded like an amazing story to tell, one that would keep the heart pumping with every page turned, keep you hooked until despairingly you came upon the last page and wanted to go back for more. This wasn’t the book I was imagining, sorry. It was a good book, but by no means a great book and you often wonder where the story could of gone with a different author. 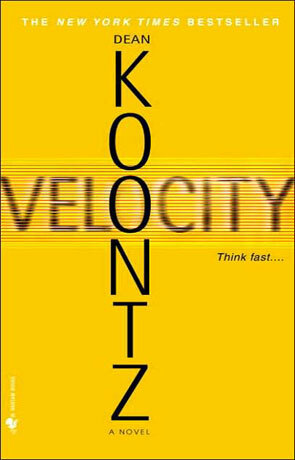 Now Koontz has been a faithful friend to me over the years and I have devoured a lot of his earlier work with pleasure and was hoping for the exact same thing again. Has he lost his way? Is he becoming too over published or even worse, complacent in the knowledge that his fans will buy anything he writes so the books don’t need to have the hooks they once did. The story like I said has a plot that is fantastic. A simple bartender finds a note placed under the windscreen of his car. The note implies that if he does nothing then somebody will be killed, if he goes to the police then somebody else will be murdered. Now I can already hear you exclaim, “That sounds like a fantastic idea for a movie, never mind a book”. I would wholeheartedly agree with you, that plot line was what had me won over from the start. The remainder of the book though felt clumsy, not so much as the author didn’t know where the story was heading but that he didn’t care. At times the book was arduous to get through, however the ending flew by. There were some definite movie style sequences in there that you could see coming from fifty pages away and the “killer finale end”, was anything but. The book read like it should of been some straight to DVD B-movie and I am sorry Dean but you will need to do better than this to keep your audience. Written on 10th December 2012 by Arron.